This week I was invited to participate in the naming ceremony for Celebrity’s first new cruise ship in 6 years, the Celebrity Edge. Every cruise line says that their new ships are revolutionary, but in this instance the Edge really is. There are hundreds of innovations onboard this impressive ship but there were a few that impressed me the most. Since I was only onboard for a couple of days, I can’t write about the destination experiences or how they handle a longer cruise, but if my time onboard is any indication, this is a cruise experience that will change the way thousands of people approach the cruise experience. 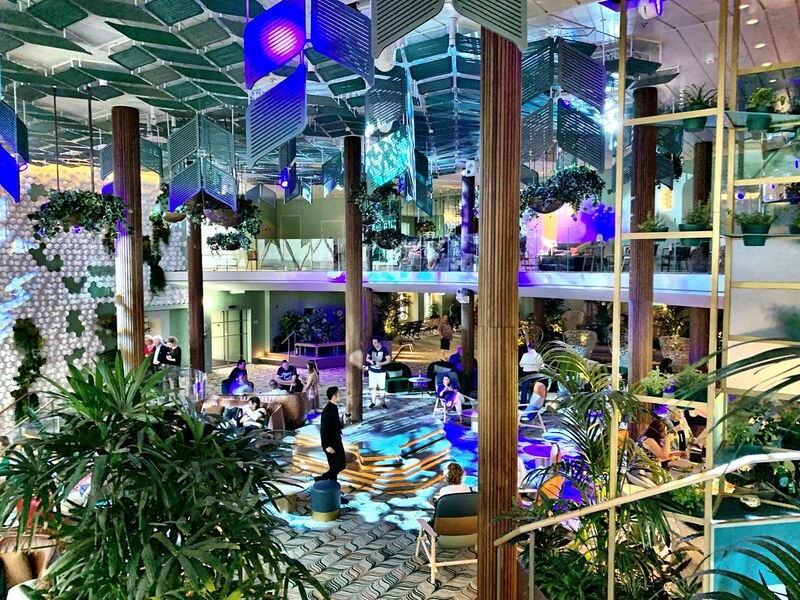 One of the most noticeable new features onboard the Celebrity Edge is its Magic Carpet, one of the most impressive innovations I’ve ever seen on a cruise ship. It’s the world’s first cantilevered, floating platform and is the first feature any new guest will notice. The platform is about the size as a tennis court and can move up and down alongside the ship, from the top deck down to sea level. When it’s on the pool deck, it’s an event space and a remarkable dining venue. But, what I think is the most interesting is when it’s time for guests to take a tender at a new destination. Usually the process of tendering is boring and poorly executed. Celebrity though has created a special disembarkation lounge with the Magic Carpet as the focal point. Guests exit the ship onto the awaiting tender boats via the Magic Carpet in what is the most civilized tendering process I’ve ever experienced. 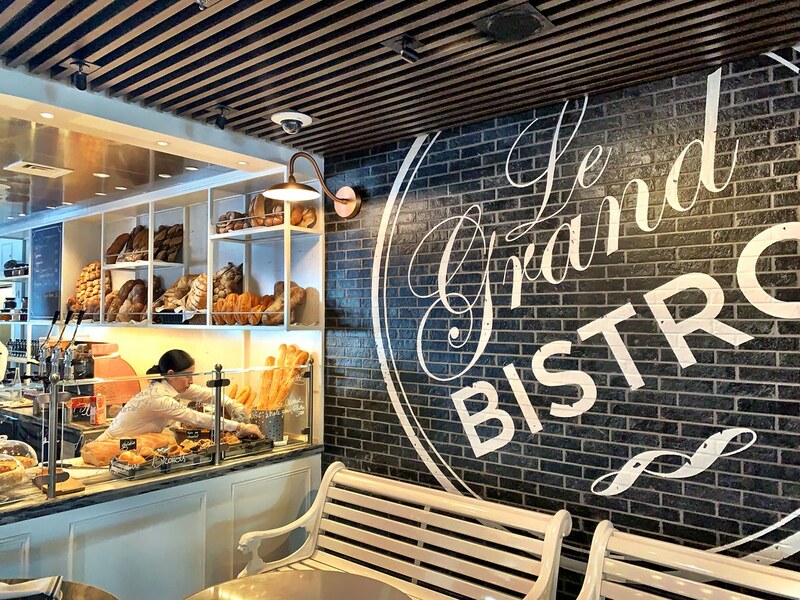 Creating the perfect stateroom is the windmill that all cruise lines tilt towards, but Celebrity has introduced some fun new innovations that do make a difference in the cruise experience. I was in one of their new Infinite Veranda Staterooms, and it certainly wasn’t a typical balcony room. The balcony area is closed off, creating additional living space in the room itself. When you want to enjoy the sea air, a push of a button lowers the window creating a balcony. It’s amazing, it’s different from anything else I’ve experienced and it will absolutely transform the cruising experience for many. The ship also features incredibly comfortable single staterooms, which is great to see, and a series of suites that include access to the special Retreat area of the ship and even special restaurant access. It’s a good way of providing added value for luxury travelers who want a little more on their vacation. One of the downsides of only being onboard for two days was that I didn’t have enough time to try all of the amazing food options. That being said, what I did experience was delicious and, like everything else, new and innovative. With menus created by Michelin-starred chefs and plenty of alternative dining options, there’s something for everyone. Even the buffet room was light, airy and well designed, featuring tasty food options. What makes a premium cruise line premium though is the service and since it had been about 10 years since I last sailed with Celebrity, it was nice to see that same high level of service I expect still on full display. Every member of the crew with which I interacted went above and beyond to help me make the most out of my cruise experience. That’s absolutely not the case with every cruise line and it speaks to a corporate culture that values the individual travel experience almost above everything else. 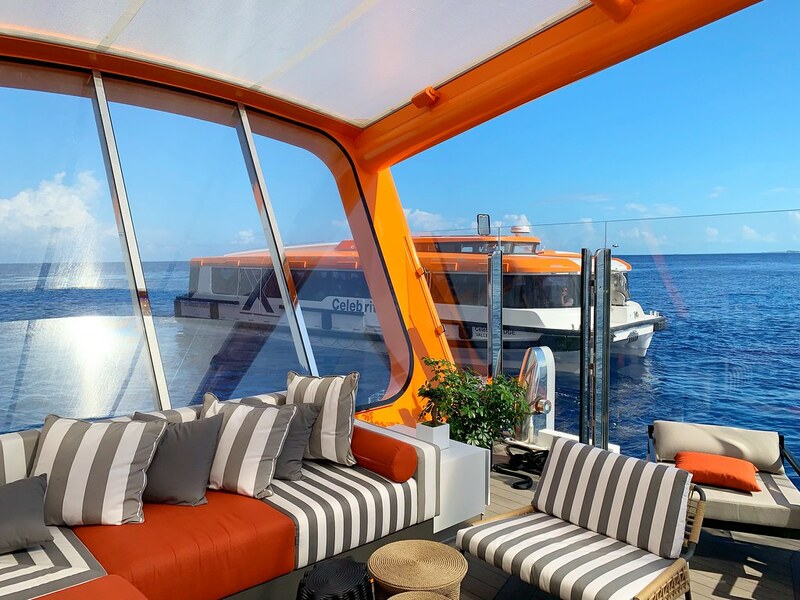 One of the Edge’s primary public spaces, Eden is a visual wonderland that captures everything innovative about this new style of cruise. Featuring three-story windows, the backdrop to the sea is gorgeous no matter what time of day you visit. As soon as I entered, the scent of the fresh plants is what I noticed first; the room itself is alive and set the stage for my own very remarkable experience in the lounge. In the evenings, the residents of Eden gather to entertain guests both casually and through a special show. While amazing, what meant the most to me was a very special interaction I had with one of the actors. He walked over to my group, introduced himself as “Zoom” and asked us to physically express our names. It’s a strange thing to be asked to do in all honesty, to create a physical manifestation of one’s name but as it turns out, it’s a powerful exercise. Through the course of several minutes, we all went through the process and to be able to express oneself in a joyful way is honestly one of the most positive and empowering experiences of my life. I was tearful with happiness and I took the actor aside to thank him. He too nearly welled up seeing our reactions and the entire event was something I know that I’ll never forget. 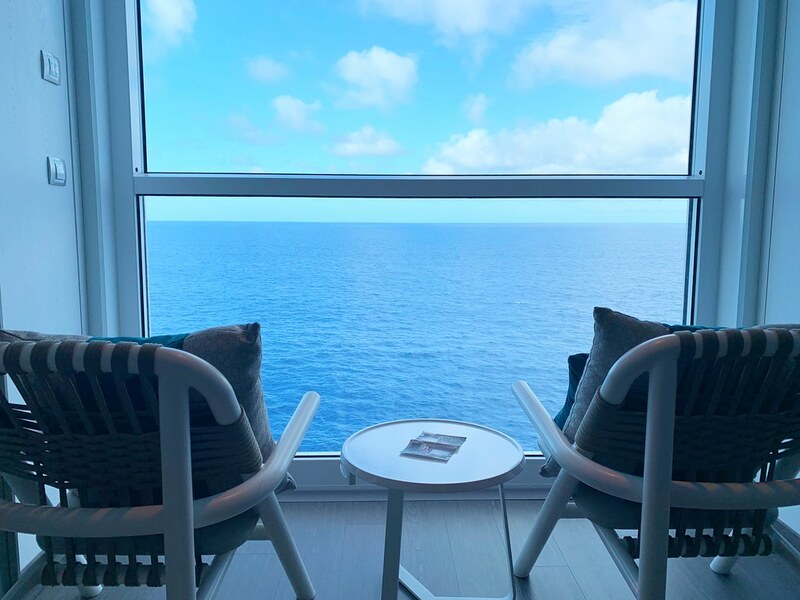 That’s not your typical cruise experience but, I think, perfectly encapsulates what the Edge is all about – special moments of unplanned joy and wonder.